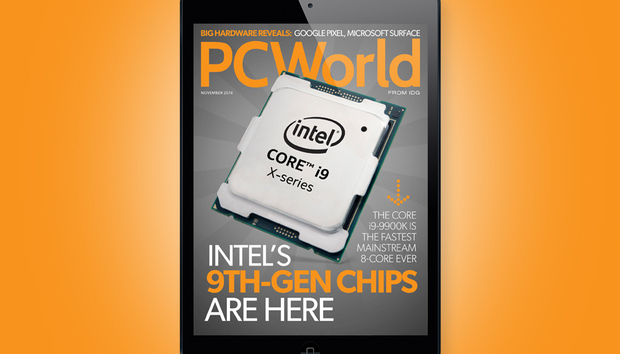 With the November issue of PCWorld comes the debut of Intel’s 9th-generation Core chips, including Core i9 and X-series parts, with a few twists. We visited the Living Computer Museum in Seattle, which was founded by Paul Allen, to travel back in time. We have the lowdown on Intel’s new Z390 motherboards; find out what’s inside Intel’s new high-end chip. Watch: Microsoft surprised us when it unveiled the Surface Headphones. They are designed to help you focus, with noise cancellation you can adjust to 16 levels, from dull roar to utter peace and quiet. And of course, they work with Cortana.